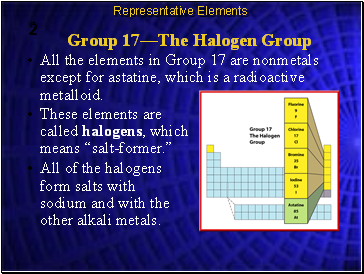 All the elements in Group 17 are nonmetals except for astatine, which is a radioactive metalloid. 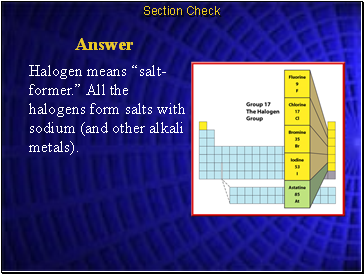 All of the halogens form salts with sodium and with the other alkali metals. 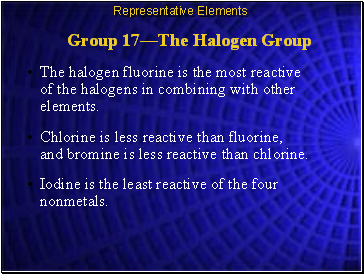 The halogen fluorine is the most reactive of the halogens in combining with other elements. 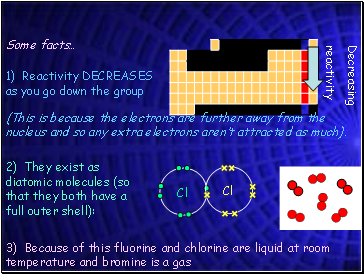 Chlorine is less reactive than fluorine, and bromine is less reactive than chlorine. Iodine is the least reactive of the four nonmetals. 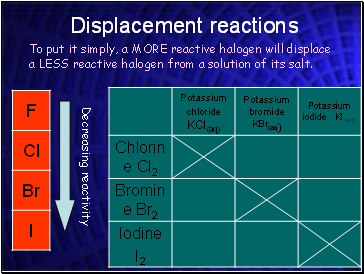 (This is because the electrons are further away from the nucleus and so any extra electrons aren’t attracted as much). 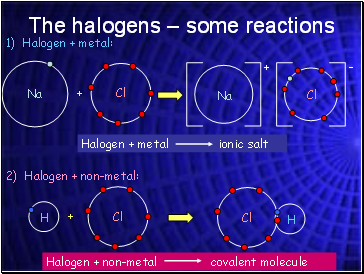 To put it simply, a MORE reactive halogen will displace a LESS reactive halogen from a solution of its salt. These are used in photographic paper. 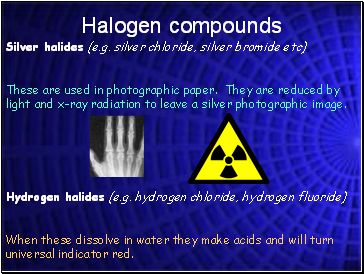 They are reduced by light and x-ray radiation to leave a silver photographic image. When these dissolve in water they make acids and will turn universal indicator red. 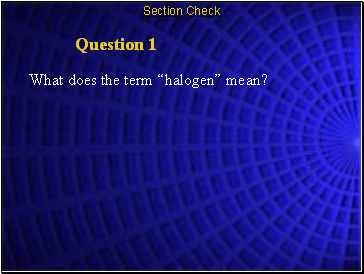 What does the term “halogen” mean? 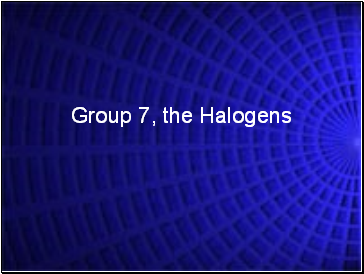 Halogen means “salt-former.” All the halogens form salts with sodium (and other alkali metals).